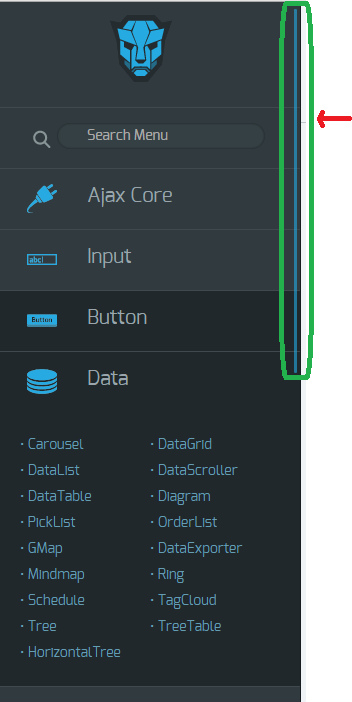 I saw layout-menu of primefaces showcase has a scrollbar features as below figure. Do Ronin layout have this feature? A short look at Chrome Dev Tools on that layout proves that these scrollbars (the scrolltrack as also the scrolldrag) can easily be customized.